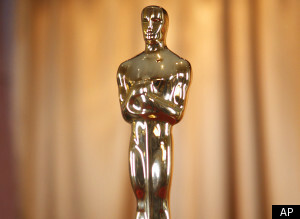 In just a few hours Hollywood's biggest stars will walk the red carpet at this year's Academy Awards. Who will take home top honors? I liked The Help (Octavia Spencer is a lock and Viola Davis may just beat our Meryl Streep for Best Actress), The Descendants (George Clooney at his best) and Moneyball (Brad Pitt doing some of his best work, too). I'll be reviewing the show -- and of course, the fashion -- for lookonline.com. See you in Hollywood!